Questions about the controversial Atlanta Eagle raid, the status of former LGBT liaison Dani Lee Harris and the appointment of a new liaison as well as how to rebuild trust between the LGBT community and the Atlanta Police Department were the main focus of today’s first meeting of the Atlanta Police Department’s newly formed GLBT advisory board. Chief George Turner addressed the board this morning at its meeting at Saint Mark United Methodist Church, saying that a second LGBT liaison will be appointed soon to help Senior Patrol Officer Patricia Powell. But others wanted to know what happened to Dani Lee Harris, who has been on leave since April. The promise of a second liaison — a campaign promise Mayor Kasim Reed made when running for office — has been stated for weeks by APD and police officials. NOTE: The GA Voice website has been experiencing overloads and has been down a few times today. Keep checking back over the next 24 hours or so to see the article when they stabilize their site. Why Is The Atlanta Police Department Shunning Intersex LGBT Liaison Dani Lee Harris? Dani Lee Harris, the intersex Atlanta City Police officer who a year ago became the face of the Atlanta Eagle bar raid scandal as the LGBT liaison, says she's been all but shunned by the force. APD hired a second liaison, then somebody to specifically replace Harris while she was on medical leave. But she's been cleared to return to work for some time now, and yet "they keeping me out," she says. Harris, who last year served as the first intersex grand marshal of Atlanta's LGBT Pride, wants answers. In May, a second gay, lesbian, bisexual and transgendered liaison, Patricia Powell, was hired. Harris, the APD said, was on medical leave. Last Wednesday, she was effectively replaced when the APD announced the promotion of Ofc. Brian Sharp to assist Powell in improving relations with the gay community. As for Harris — still on leave, according to APD spokesman Carlos Campos. But Harris, 37, said she was cleared to return to work six months ago, even though she had just suffered a seizure — her second in less than a year. The second seizure — stress-related, her doctor says — followed a "really nasty, derogatory comment" by a civilian colleague whom Harris doesn't want to identify. She said she tried to file a complaint with the department's Office of Professional Standards but was told to go home. Read article here: Why Is The Atlanta Police Department Shunning Intersex LGBT Liaison Dani Lee Harris? 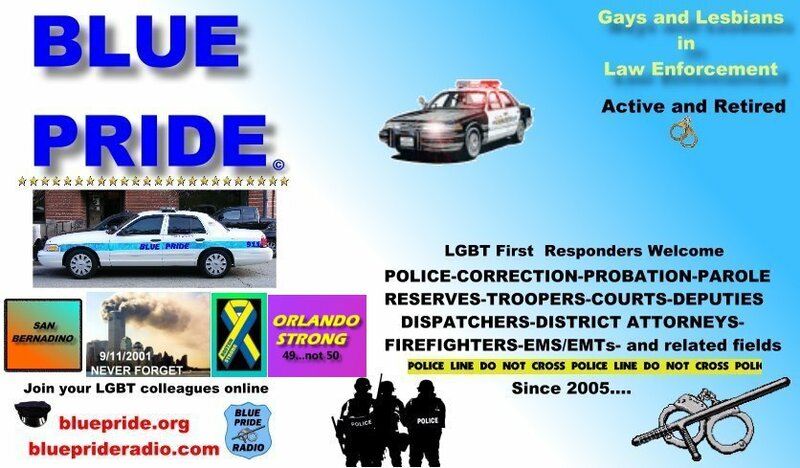 Another article: APD appoints second GLBT liaison ... but what about Dani Lee Harris? Officer Dani Lee Harris returned to work at the Atlanta Police Department on Monday, but not in the position she would like. The former LGBT liaison for the APD said she reported to duty in the ID division of the APD located on Donald Lee Howell Road and is now in charge of expunging records from computers after court cases are resolved and orders to do so are handed down. “I’m glad to be at work, glad to be making a paycheck,” she said. She said the officers in her department welcomed her warmly. “It’s bittersweet. I’m not doing what I want to do but I’m going to do the best job I can because that’s what I believe in,” she said. “I do wish Office Sharp and Officer Powell the best of luck.” Sharp and Powell are the two Atlanta Police LGBT liaisons. We really haven't heard much about Dani Lee for the last few years. I'm glad her case seems to be ready to go and that she gets the justice she seeks and is entitled to. The former LGBT liaison for Atlanta police, forced out after she complained of anti-gay remarks aimed at her, filed a federal lawsuit against the agency seeking damages and reinstatement. Darlene Harris, the second LGBT liaison for Atlanta police, was forced to take unpaid medical leave after suffering grand mal seizures in 2010. But the leave came days after she complained of anti-gay comments directed at her by an administrative assistant at the department. Her departure, and the agency's poor handling of it publicly, started a lengthy odyssey that left Harris' employment in limbo. On Tuesday, she sued the city seeking a jury trial, back pay and lost benefits, reinstatement, damages and an injunction prohibiting Atlanta police from violating Title VII of the Civil Rights Act and the Americans with Disabilities Act. "[Atlanta police] retaliated against Plaintiff by, among other things, forcing her on unpaid medical leave, refusing to allow her the use of borrowed or loaned leave, repeatedly threatening to demote her to a civilian position and reduce her pay, refusing to reinstate her to her GLBT liaison position, and overall creating a retaliatory hostile working environment," according to the lawsuit. Harris said she faced anti-gay comments from Sandy Bradley, an administrative assistant at the department, on two occasions in 2010, according to the lawsuit. Ms. Bradley also told Plaintiff that “if she ever had kids at the APD she would not be comfortable having her kids around” Plaintiff. Harris returned to work in October 2010, a few weeks after supporters rallied to help her financially. Harris served as the LGBT liaison for Atlanta police for nearly five years, from November 2005 to April 2010, and was a grand marshal at the Atlanta Pride parade in 2009. But how the position was utilized came under fire after police raided the Eagle in September 2009. Harris was not notified of the raid and learned about it from a reporter. That later led a newly-appointed Chief George Turner to pledge to "tweak" how the LGBT liaison is involved in agency operations. The department quietly put Harris on medical leave in April 2010 and appointed a replacement LGBT liaison without any public announcement, a move that the department only discussed when pressed by media outlets after a contentious anti-gay protest near Grady High School that Harris did not attend. Atlanta police maintained that Harris was unfit for duty and asked her to take a civilian job within the agency, which would result in a reduction in salary. In the lawsuit, Harris said she faced a "retaliatory hostile working environment" and alleged that the department's "failure to accommodate [Harris] are a pretext designed to cover up [the department's] retaliatory motive." Atlanta police declined to discuss the lawsuit with the AJC.